Longevity is something most folks strive for. We want to live longer, and we want those we love to stick around for as long as possible, too. I don’t know about you, but I don’t want to live out my last years in pain. It just doesn’t seem worth it. I want to be able to enjoy those golden years and feel good. For me, it’s about quality—if quantity can be tacked on, it’s an added bonus. Now, research is showing that people who don’t smoke, avoid obesity, and only enjoy the occasional cocktail could live seven years longer than the general population. And not only are they adding years to their lives, but they’re also living without disability or major illness. In other words, they’re maintaining quality so they can enjoy the quantity. Playing with grandchildren, taking trips, sharing new experiences, and getting the most out of life can become your reality, too. There are a couple of factors that make the results of this study so appealing. First is that these measures are completely realistic. Obesity increases the stress on your organs and joints that can lead to disability. So, trying to include more activity into your day can help you bring your body mass index (BMI) into a healthy range while increasing strength and reducing the risk of disability. This way you get more value out of your extended life. Try walking around the neighborhood for 20 minutes a day, three times per week, while doing two resistance-training sessions per week. Managing drinking and smoking can be a little more difficult because they can boil down to addiction. Although smoking was not found to have an association with disability, I’m sure you’re aware that it can severely cut into longevity and quality of life. This is one habit you need to quit entirely. Some alternative methods to help you break the habit include acupuncture and hypnosis. Check with your doctor to see what option might work best for you. Excessive alcohol consumption, on the other hand, was highly associated with a shorter lifespan and an increased risk in disability in the recent study. Limiting your intake to a total of 14 drinks per week for men, and seven for women (spread throughout the week, not all at once), however, can fit into a healthy lifestyle that leads to a long, comfortable life. I recently learned about an alcohol-addiction treatment called “Naltrexone”—available as injections under the name “Vivitrol.” And it looks to be very effective! Ask your doctor about it. So, how much more time could these preventative lifestyle measures buy you? Again, the average is seven years. But, the number can reach up to 11 years for men and 12 years for women. Furthermore, these health tactics can lead to a longer average lifespan than the Japanese—the global benchmark for healthful longevity. 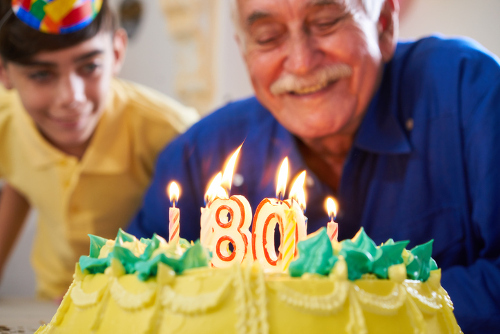 The average lifespan in Japan is a whopping 85 years! Relying on expensive medications to keep you alive longer might not be the best option. Instead, adopting free and non-restrictive lifestyle adjustments could be the key to living a long, rewarding life! Mehta, N. and Myrskyla, M., “The Population Health Benefits Of A Healthy Lifestyle: Life Expectancy Increased And Onset Of Disability Delayed,” Health Affairs, Aug. 2017; 36 (8):1495-1502. doi: 10.1377/hlthaff.2016.1569, last accessed August 14, 2017. “Medications used to treat alcohol use disorder,” CBC, June 24, 2017; http://www.cbc.ca/natureofthings/features/medications-used-to-treat-alcohol-use-disorder, last accessed August 14, 2017.